NetworkThermostat, a leading communications-based thermostat manufacturer since 1995, announces the immediate availability of the NT-OSC (ceiling mount) and NT-OSW (wall mount) occupancy sensors. These sensors easily integrate with any NetworkThermostat GE, HP or UP thermostat platform via a single CAT5 or 4-wire thermostat cable. The thermostat provides power and automatically recognizes the occupancy sensor. The NT-OSC ceiling mount sensor detects 360 degrees with a coverage diameter of roughly 2.5 times the mounting height (up to 34.5ft/10.5m) while the NT-OSW wall mount sensor detects 110 degrees with a range out to 50ft/15m. Use the NT-OSC or NT-OSW for occupancy control of the HVAC system without the need for schedules or programming. 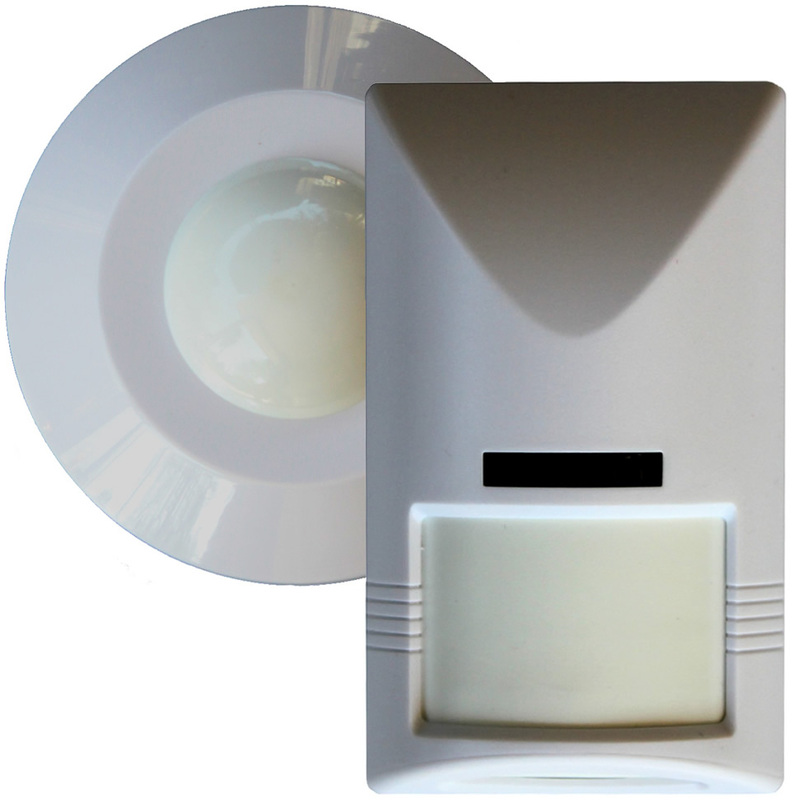 These sensors are designed to be used with the ‘commercial keypad lockout’ feature of the Net/X thermostats eliminating the need for occupants to adjust temperature set points. As part of an HVAC energy management system, occupancy sensors enable facility managers to automatically control HVAC operation based on room occupancy. Passive infrared (PIR) sensing technology and intelligent logic control enable Net/X sensors to verify the occupancy status of rooms. If the room is physically occupied, then the system will control the climate to predetermined set points. Once a room is vacant, the NT-OSC or NT-OSW signals the HVAC controls to automatically perform a setback. In this way no energy is wasted to climate control an empty room. Position the Net/X occupancy sensor on walls, corners or ceilings to provide the best detection area for each application. These sensors are ideal for use in office spaces, schools, worship facilities, hotels, resorts, and military installations. On and off time delays allow these sensors to reliably control HVAC system operation. Occupancy sensors can reduce energy consumption while maintaining ideal temperature levels. Each sensor provides an adjustable “Verify Occupancy” time to allow random in and out occupancy and cleaning personnel to enter the area for brief intervals without triggering the HVAC unit to occupied mode. An adjustable “Minimum Occupied” time regulates the time that the HVAC unit will remain in occupied mode after occupancy has been detected. When used as part of a NetworkThermostat HVAC control solution, it is possible to schedule a room to be pre-cooled to a desired temperature and use occupancy detection to maintain that temperature throughout the occupied time. If no occupancy is detected within the preset occupancy verification time, the HVAC unit is automatically placed in setback mode to maximize energy and cost savings.